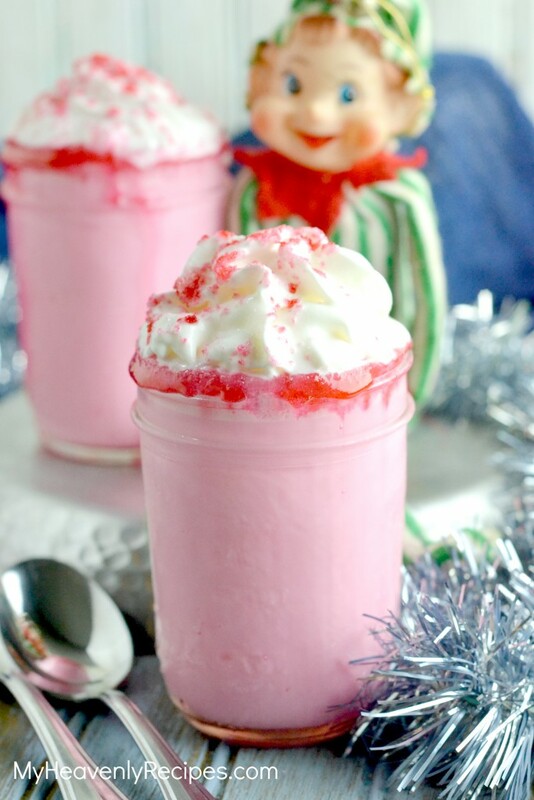 Let me guess….you are thinking to yourself – STRAWBERRY HOT CHOCOLATE, REALLY?!? But, don’t knock it until you try it! It’s the time of year when George (our Elf on the Shelf) makes his annual appearance on Thanksgiving night. Once our bellies are full of turkey and our Thanksgiving Day cookie cake, the children not so patiently wait for a little knock on the door. Like magic and the thrill of the season ahead, George, the kids elf, appears bearing a new family fame and matching PJ’s for all three children. He also delivers The Night Before Christmas. We gather on the couch and continue the tradition with a read, then it’s off to bed so George can begin to explore all the changes the home has acquired in the past year. Does your family have any “Elf” or other holiday traditions? 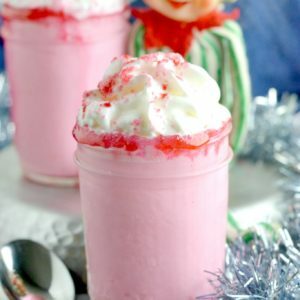 This year I’ll be surprising the children (and what guests are left from dinner) with a glass of Strawberry Hot Chocolate. I hope to add a nice warm cup of hot chocolate to the tradition for years to come. 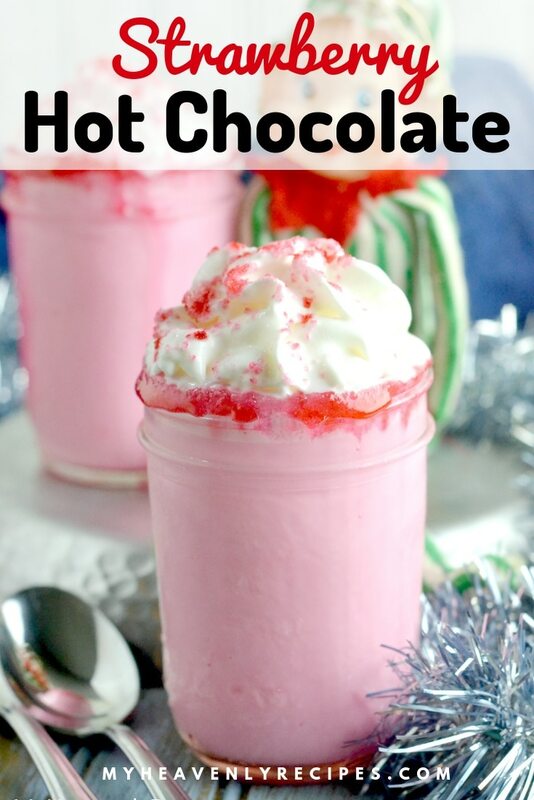 Note: This Strawberry Hot Chocolate Recipe makes 4 cups. If you are serving a crowd, you may want to double or even triple the recipe….just a fair warning. I never want to disappoint anybody! You'll want to skip the traditional hot chocolate this winter and enjoy a new hot chocolate flavor, strawberries! It's sweet, hot and oh so delicious. Over a medium low heat place milk and chocolates. Do not let boil.